Perhaps the most important event on the horizon is not the mid term break (although I am sure that will be well received by staff and children) but rather it is the ‘Three Way Conference,’ on 25 October and 1 November (other than 4C who have dates of 1 & 7 November). It is the most important event as it is the continuation of the critical partnership between staff and families to support success for every child. This year we would like to see children attending at every meeting (last year we had approx 40% attendance) so that they can be directly involved in conversations about their progress and next steps. Three way learning conference support student agency, student voice, clarity regarding how home and school can work together best to support success while also communicating to the child that parents and school are working in partnership to support them. Evidence shows that once schools transition to three way conferences that they are so valuable that 1:1 parent/teacher meetings are set aside for rare cases rather than as a regular part of the calendar. From an organisational point of view please note that if you book a conference that will mean you child does not travel on the bus that parents must arrange care/ supervision for the child at school as staff are fully engaged in the learning conference process. We are really looking forward to seeing you all after the break, celebrating progress so far in 2018/19 and collaboratively agreeing on next steps. 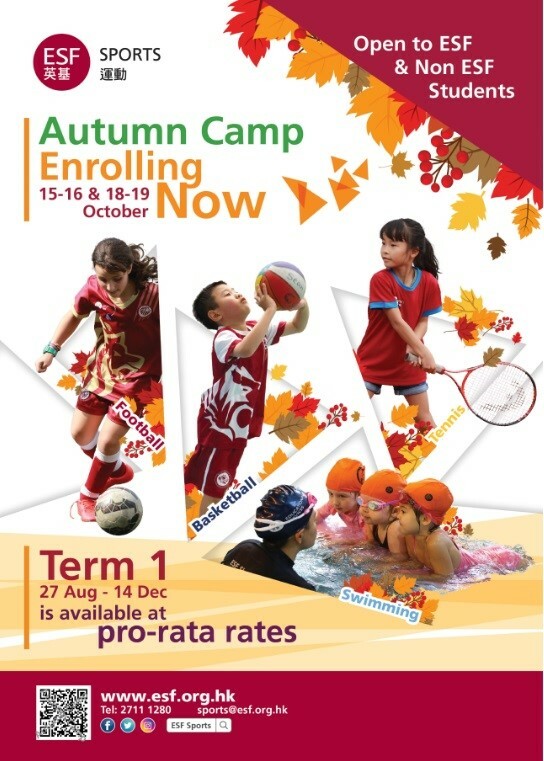 We hope you have an enjoyable time with your children over mid term. 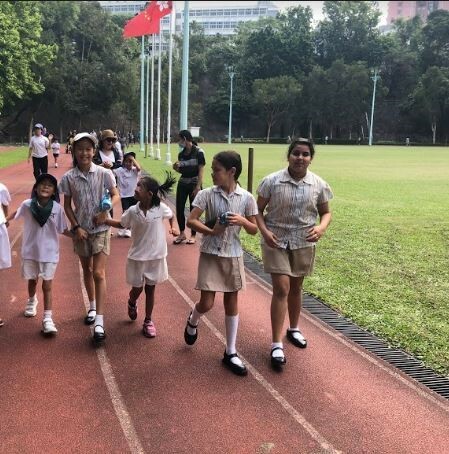 On Tuesday, we attended the annual JCSR school walkathon to help the JCSR students take action, raising money to donate to the Masarang HK Society charity. In the walkathon,we helped the students to walk or run and encouraged them to keep going. We teamed up with a partner from JCSR who we helped to run or walk and communicated with them in different ways to give encouragement. 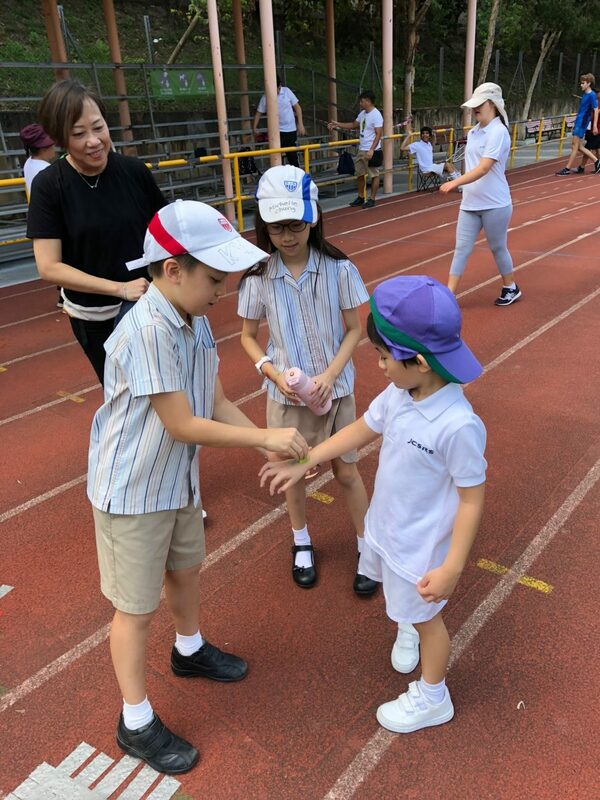 I learnt that people who are less able can still achieve and even though the JCSR students have disabilities, some of them ran more laps, collected more stamps and tried harder than our 6A students. It feels good to help take action and help other people. Please be reminded that Thursday 11 October is our Dress Casual Day to raise funds for the Hong Kong Community Chest. Children can wear their favourite clothes to school for a minimum donation of just $20. 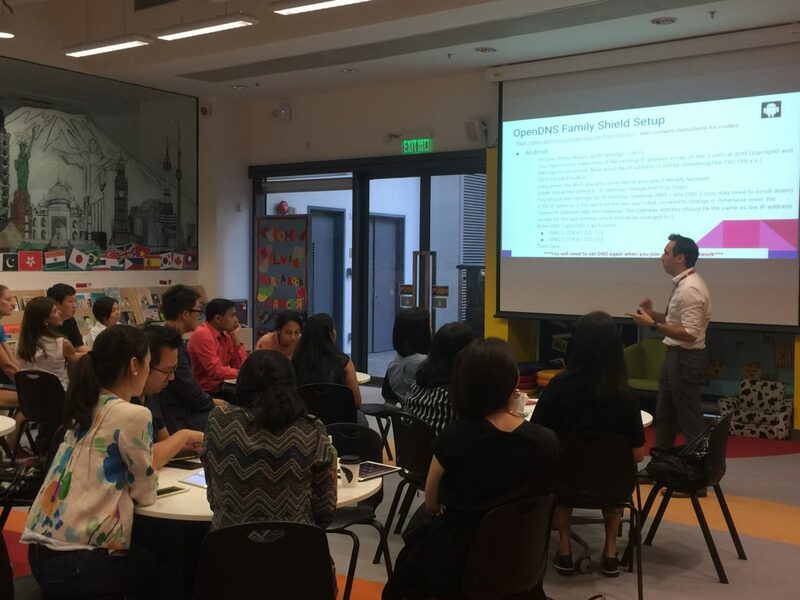 If you have missed the Parent Workshop: Your Child and Technology, please click here for its presentation slides. Thank you for your ongoing support of the library. There are a few reminders and changes we made in the library. Please be aware that students who have not returned their library books during their weekly sessions, will not be allowed to borrow books, even if partial amounts of books are returned. For example, should a Year 2 student borrow 2 books but return only 1, they will not be allowed to borrow any books until the remaining 1 book is returned. Students have been reminded of flexible borrowing and return, which means students can return their books and exchange them during morning, snack time or lunch. 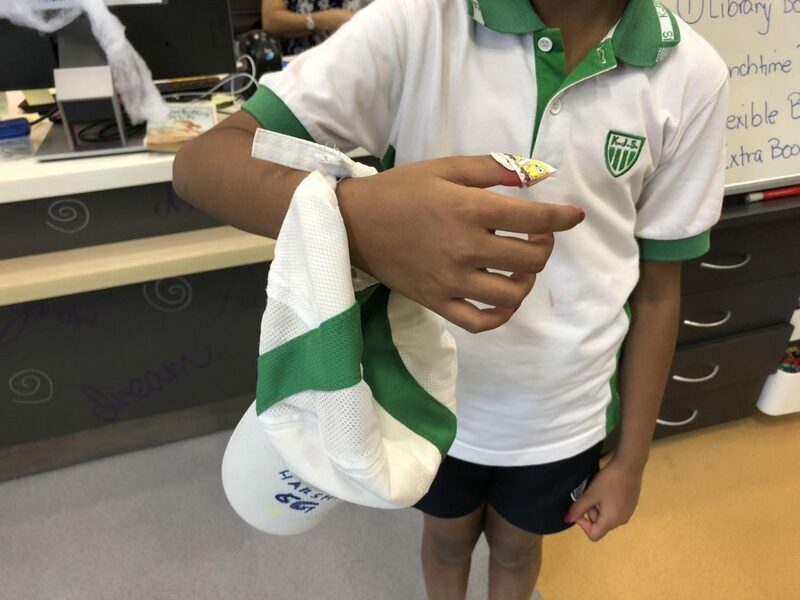 Based upon our team’s reflection of library lunchtime procedures and feedback from students, after term break, students will be asked to bring their hats into the library on their wrists. This is to prevent students from losing their hats while leaving it unattended in boxes. Students are being informed of this change during their library lesson. This new procedure will be effective after the term break. We will contact you as soon as possible after receiving your information. For any questions, please email us at library@kjs.edu.hk. This year’s school musical, Chitty Chitty Bang Bang Jr. is fast approaching. If your family would like to paint a sign to help decorate the school hall, please click here. A piece of cardboard (re-used from our previous musicals) along with a suggested image to paint, will be delivered to your child’s classroom to take home in the following weeks. Thanks for your support! We had our second successful PTA meeting yesterday and have a new committee in place. We would like to extend a warm welcome to all our new members and thank our previous committee for all their hard work in the past year. Details of the new committee will be up on our PTA page on the school’s website very soon. This exciting family event will be held next month on 9 November 2018 from 5pm to 7pm. Tickets will be priced at $80 per person for children and their family members. Snacks will be provided by the school, please bring your own drinks and water in environmentally friendly containers. Once again, this will be a non-alcoholic event. We do not encourage parents to bring their own alcohol. Let’s make this event as child-friendly as possible. Tickets will be on sale after the mid-term break from the PTA office. Look out for posters with more details around school.